Alistair Morrison, a leading photographer with Bermuda connections, is visiting the island to launch a new art piece featuring Bermudians. 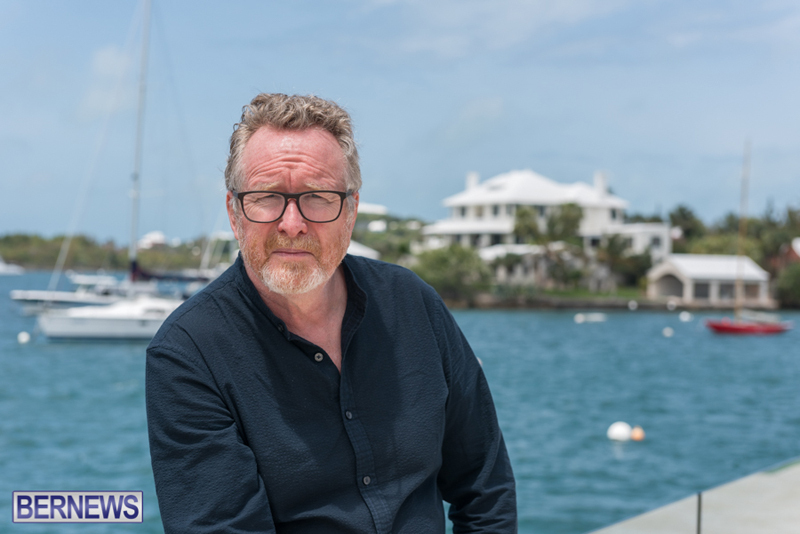 The acclaimed British photographer, who has close Bermuda connections, has photographed some of the most notable celebrities in the world such as Tom Cruise, Sir Elton John and Bruce Springsteen. He has exhibited in London, Paris, Berlin, Barcelona and New York, building a worldwide reputation, and has had 82 photographs displayed in the National Portrait Gallery in London. This project is the result of collaboration between British Airways and Hamilton Princess & Beach Club and is an opportunity for Mr. Morrison to celebrate his Bermudian heritage. Alistair Morrison said: “My grandparents settled in Bermuda back in the thirties and had four children, all born in Bermuda. Mr. Morrison will photograph 13 Bermudians for the art piece, entitled Bermudian Legacy — 11 of whom will be selected by the artist. The public is encouraged to nominate the remaining two Bermudians, who they feel have contributed greatly to the strength of the community. The art piece will be displayed at Hamilton Princess & Beach Club. Nominations for subjects can be submitted directly to Morrison via his website or write-ins can be mailed to: Bermudian Legacy, P.O. Box HM 2969, Hamilton, HM MX. Nominations must be received by June 15. As part of this new project, Mr. Morrison will be hosting an introductory talk on the project at a date and time to be announced.